As the La Plaza Mall continues opening new stores and restaurants as part of its $50 million expansion, it was announced Wednesday that Forever 21, Dallas Cowboys Pro Shop, Yard House, Tilly’s, Trudy’s Hallmark, Buddy V.’s Ristorante and Carlo’s Bakery will open in the coming months. Forever 21, “an American fast-fashion retailer known for its on-trend clothes and affordable prices,” is set to open a 12,000-square-foot location in June, the mall announced. The Dallas Cowboys Pro Shop will feature a range of jerseys, shoes and apparel for adults and children. The store is expected to open in May. Yard House is an American sports bar chain with a wide variety of more than 100 beers and expansive food options. The 9,343-square-foot location will open in late 2018, the mall announced. Tilly’s, which offers shoes and accessories in the surf, skate and motocross industries, is slated to open in July. 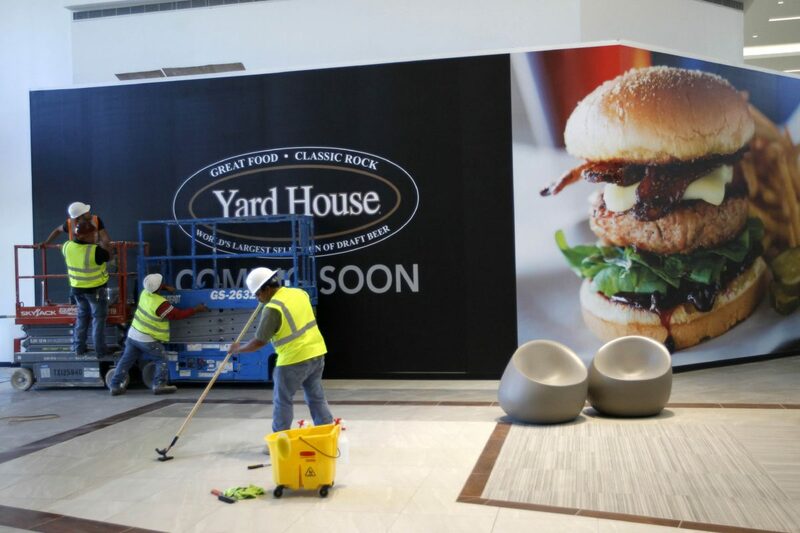 Trudy’s Hallmark will open in June, the mall said.